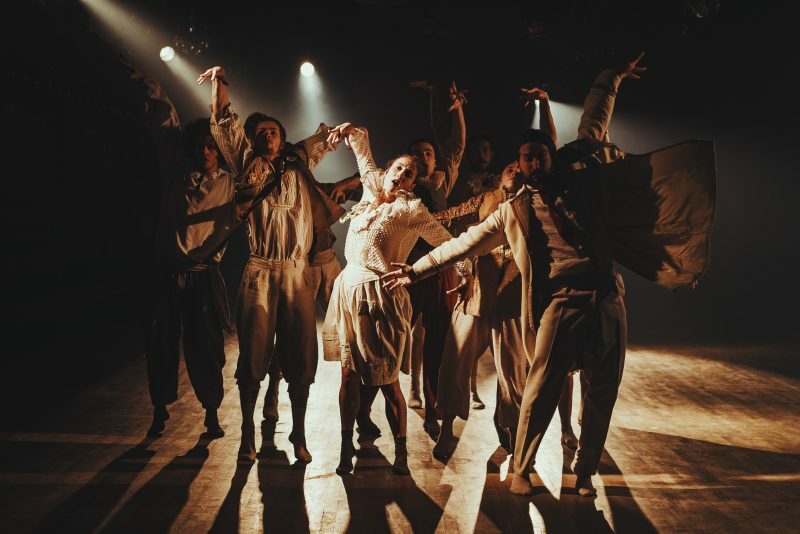 Hofesh Shechter’s Clowns was commissioned by the BBC as part of the Performance Live strand – a partnership between BBC Arts, Arts Council England and Battersea Arts Centre, showcasing some of the most exciting artists working in performance today. With cinematographer Sebastian Cort, we shot the film over five days on location at Rivoli Ballroom in South London. The editor was Todd MacDonald, who also took these striking images. Henny Finch and I are the producers. 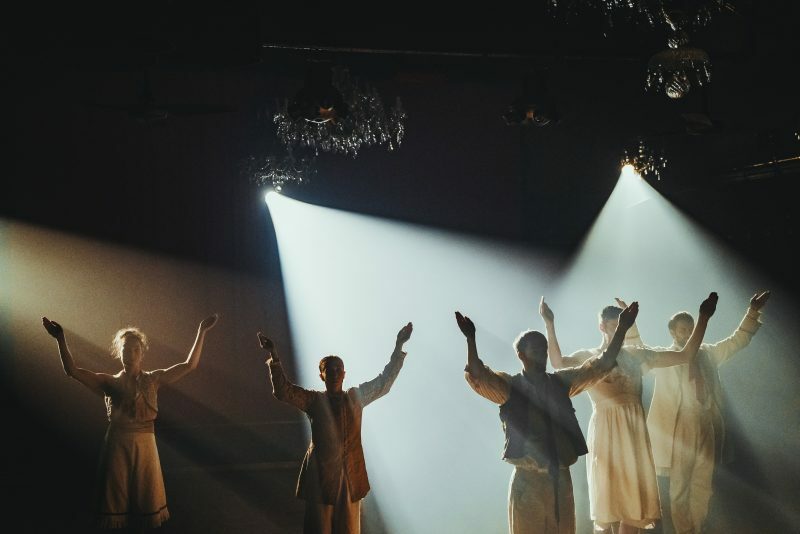 Directed, choreographed and composed by Hofesh Shechter, Clowns features 10 of his world class dancers playing out a macabre comedy of murder and desire, and asks: how far will we go in the name of entertainment? The piece combines Hofesh’s bold, exhilarating and tribal choreography with a percussive, cinematic score and the camera gets up close to the exceptionally talented ensemble of dancers. Coming from 8 different countries, they are Chien-Ming Chang, Frédéric Despierre, Rachel Fallon, Mickaël Frappat, Yeji Kim, Kim Kohlmann, Erion Kruja, Merel Lammers, Attila Ronai, and Diogo Sousa. The associate director is Bruno Guillore. 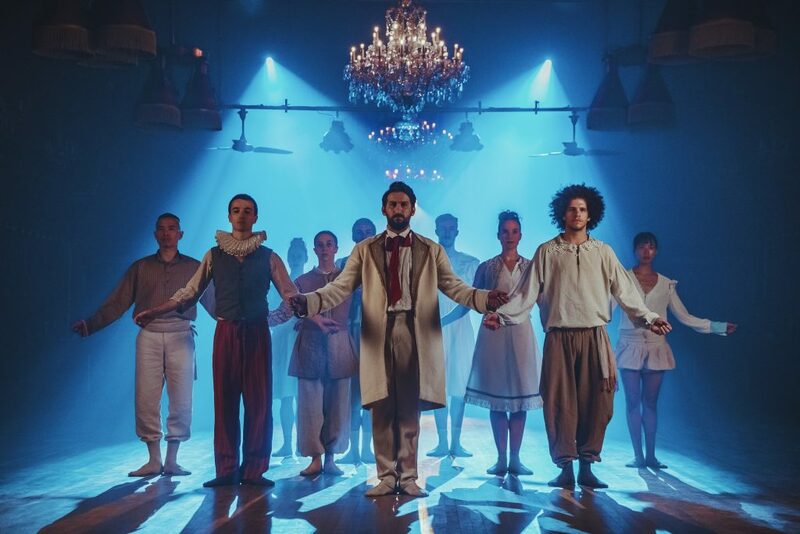 Shechter’s blackly comic portrayal of this group of murderous clowns was commissioned by Nederlands Dans Theater in 2016 and was revived in part in the recent production of SHOW performed by Shechter II, the choreographer’s apprentice company. Please can you advise me if and where I can purchase a DVD Hofesh Shechter’s ‘Clowns’, as shown on September 22nd, 2018.